Renting a car is probably the most affordable way to explore a country, in this case Greece, which gives you the absolute flexibility in terms of scheduling your own itinerary, time management, and comfort. Greek rural roads may not be the way they should, and a driver should exercise extra caution, most highways, however, are up to par with the most modern highways of the world. 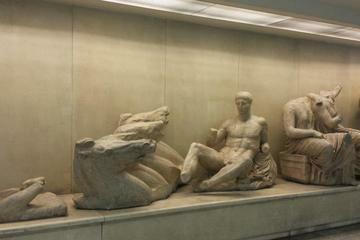 Other than your own feet, the best, safest and most affordable way to move around in central Athens, by far, is by Metro. Head below ground on a UNESCO-approved tour of Athens’ metro stations excavations, and discover incredible ruins and relics that date back to the days of Ancient Greece. While traveling by metro and on foot, visit four of the most significant excavation sites, namely the Acropolis, Syntagma, Monastiraki and Kerameikos stations, to learn about Athens during some of its most fascinating eras. 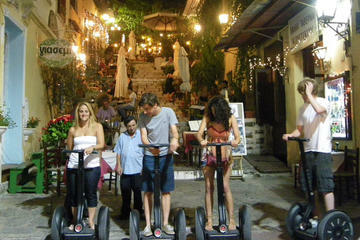 The Segway is a self-balancing, personal transportation device designed to go anywhere people do. It is not a motor bike and it is not a bike. is an efficient and stylish way to get around town. At Travel Luggage & Cabin Bags, they are passionate about bringing the finest quality luggage products to their customers. As the direct B2C operation for one of the World's largest luggage manufacturers, who own multiple well-known travel brands, they're able to offer unrivaled range, at the best prices. One of their strengths is quickly identifying what flyers need - which they've learnt to be maximizing the cabin-size limits for airlines - so they've got great luggage measuring exactly the Easyjet, BA and Ryanair luggage sizes. This allows travelers to pack the maximum for their flight, without having to check-in bags and incurring additional costs. Travel Luggage & Cabin Bags, specializes in stylish, yet lightweight and durable luggage bags, and has an extensive range of Cabin Luggage.